Although we’re proud to be American, and most of us will never leave, some of us cannot bear the threats to our ideology and principles and the hatred of the left for people who have succeeded. Meanwhile, some of us remain worried that the whole great edifice might just come crashing down. For high-income US citizens, who are required to pay tax on their worldwide income even if they don’t live there, many may consider obtaining another nationality in order to renounce US citizenship and avoid the ongoing hassles and expense of paying tax to a country they don’t live in. Which is why some of us have a dual-citizenship back-up plan. Take your time. You must approach dual citizenship carefully. It can be complicated and you’re going to need a lawyer experienced in expatriation. Buying citizenship: Right now, some of the most accessible countries for gaining a second passport are in the Caribbean. St. Kitts & Nevis, Antigua and Dominica are good examples. They all have options for gaining citizenship through investment. Either you make a one-time payment of about $300,000 to the government. Or you invest in real estate for about $500,000. The island of Dominica starts as low as $100,000 for virtually instant citizenship. In Europe, Malta runs closer to $1 million. 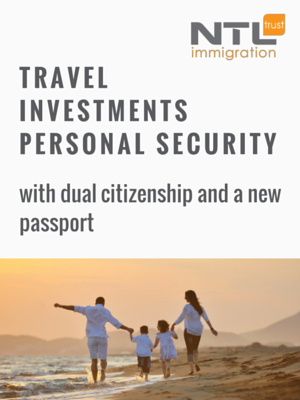 While the Caribbean is close by and has some of the simplest methods to acquire another citizenship, many other countries offer dual citizenship. These include: Australia, Belize, Canada, Colombia, Costa Rica, France, Israel, Panama, Turkey and the United Kingdom. In addition there are many small island nations, other than the Caribbean islands, that also offer dual nationality. The Isle of Man, between England and Ireland is one, The four Channel Islands between France and the UK are others. Malta, Gibraltar, Cape Verde and Pacific islands such as Vanuatu also offer options. As do small landlocked nation states such as Monaco, San Marino, Andorra, Luxembourg and Liechtenstein. Once you identify countries that interest you, the next step is to learn about the criteria for earning citizenship. Look for shortcuts: If you have parents or grandparents that come from your preferred country, that may provide you a simpler path to citizenship. Some countries work on blood descent (jus sanguinis) rather than acquiring nationality from a birth in the country (jus soli). Of course, falling in love and marrying someone with a foreign passport also qualifies. How many boxes must you tick? Some nations require you to live there for decades before you can qualify for citizenship. Other nations may require just a year or two of residency. Small print: Becoming a citizen of a nation means that you must abide by their laws. For instance, if you become a citizen of Israel, you or your children might be required to perform military service. Corporate expatriation: Some countries allow you to create a company and piggyback your citizenship off that. Becoming a permanent resident of highly-respected Singapore, for instance, is easy. Just set up a local company. 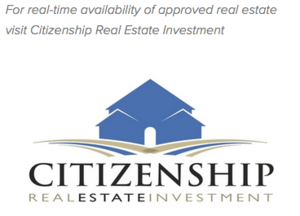 Once your permanent residence is established, it takes two years to qualify for citizenship. If you are willing to start a business or move your existing business to Russia, you may be able to obtain Russian citizen within three years merely by paying taxes you would have paid anyway. We live in uncertain times. Life today is complex and sophisticated. Few of us know how our cars work, or the computer operates, or what our food contains. We’ve lost the basic skills that our grandparents possessed. At Self-Reliance Central, they’re all for enjoying the good life. Dedicated to bringing you information that will empower you to respond to financial, social, medical, political and weather-related emergencies, as well as to simplify your life and reduce your dependence on outside agencies.